I've had a problem with squeaking floor since moving in, and after pulling up the carpet and taking a look I've discovered it's down to the screws which have been put into the chip board flooring between a join. 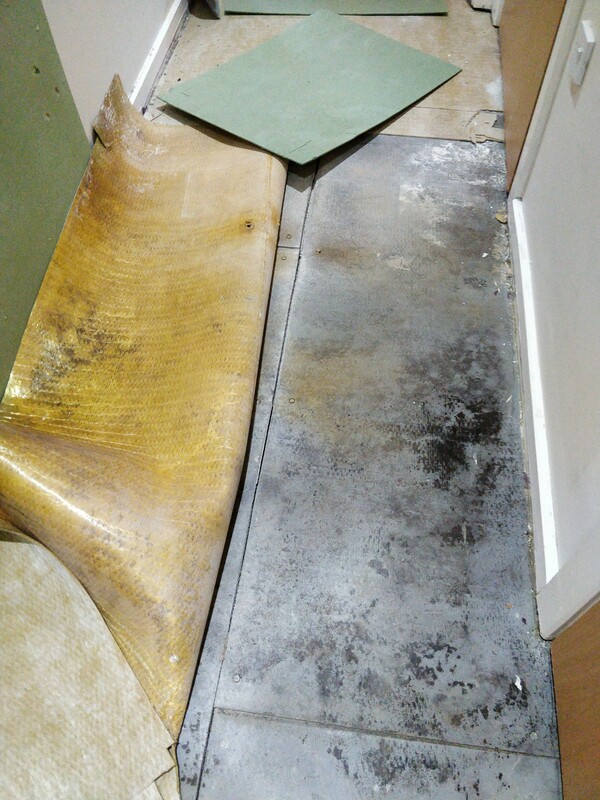 The join run's down the entire length of my hallway to the end of my apartment, and unlike any other chipboard flooring in the apartment it has no tongue and groove. It appears that there was a substance between them but this just chips away now, the apartment block was built about 12 years ago. 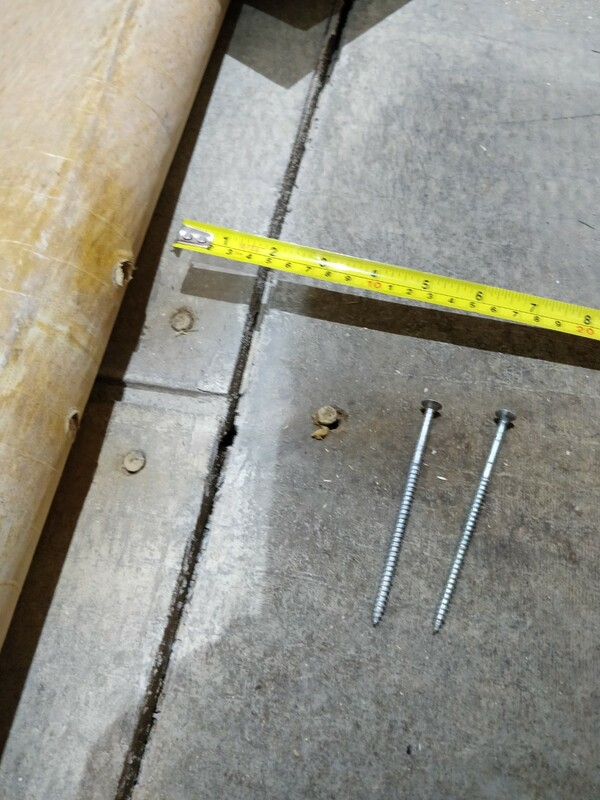 I've attached two photos, one of the join which runs down the apartment, and a close up of the screws still in the flooring, and one of the screws which I've removed. My question is, will it be fine to remove the screws which are causing the problem, or is there any other way I should look to fixing this problem? A big part of the problem is that the old screws don't have a fully threaded shank. Over time, the screws will allow movement of the substrate. Especially if no adhesive was used between the substrate and the floor joists. A full-thread screw spreads the pressure over the entire length of the screw, with the greatest pressure being applied where it meets the surface of the substrate. 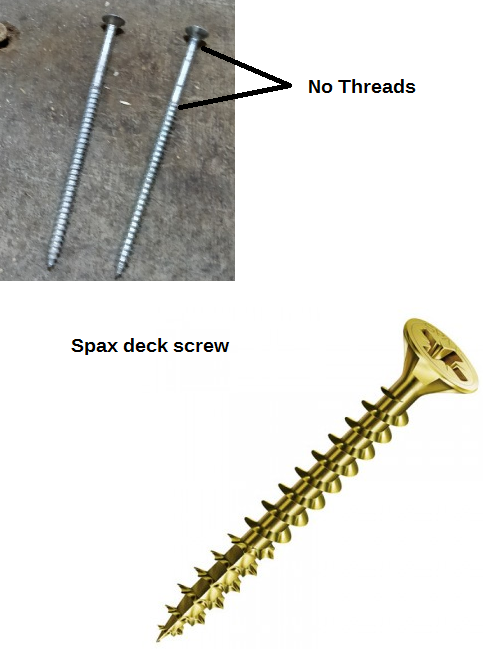 I would go back with a better screw, such as a Spax multi-material screw. You might even consider placing them all over your floor between the old screws. My guess is, you will find a lot of other loose screws as well. Not the answer you're looking for? Browse other questions tagged screws subfloor squeak or ask your own question. Does XPS+OSB subfloor need to be anchored? How do I use self-drilling and tapping SS screws? How to resolve subfloor squeaking when screwing does not fix the problem? How can I remove / replace this OSB floor?